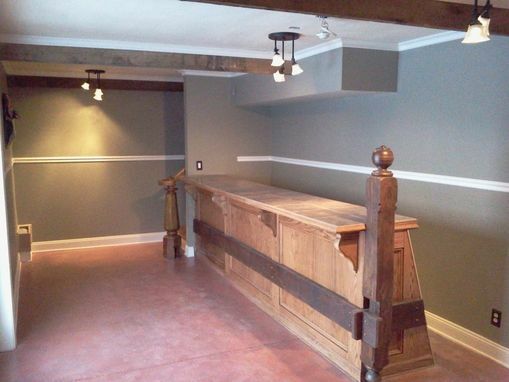 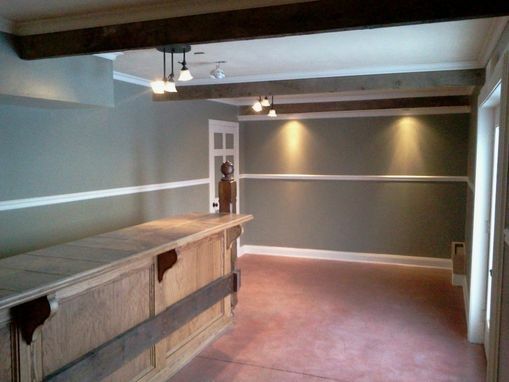 A complete custom wine tasting bar with reclaimed barn beams and red oak carcass. 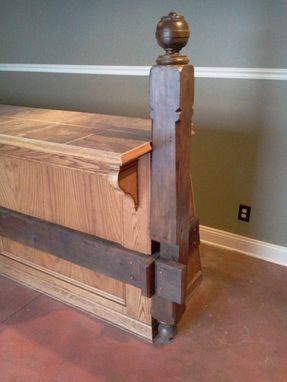 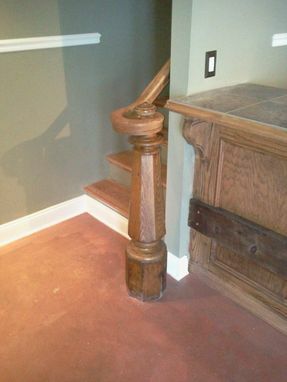 Custom oak staircase, and vintage railing and post. 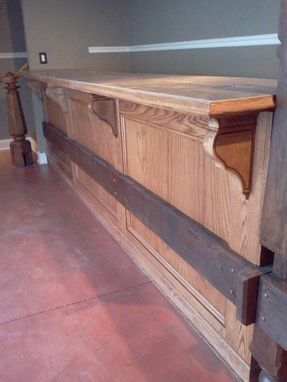 Bar top made of slate tile. 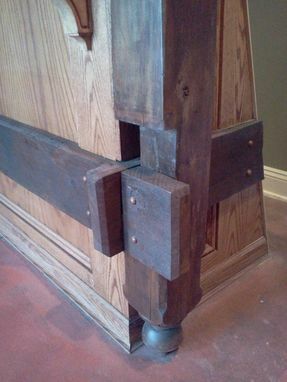 Casing, and mouldings all cut and applied by hand.